Evidence of a violent crime in Bree's basement causes police to reopen a cold case. Can she and her K-9 search dog, Samson, stop the killer before he strikes again? Bree Nicholls has made a name for herself finding missing persons and solving mysteries in the untamed wilderness of Michigan's Upper Peninsula with her faithful search-and-rescue dog, Samson. Yet she still doubts herself, grieving the loss of her husband and longing for her young son's forgiveness. 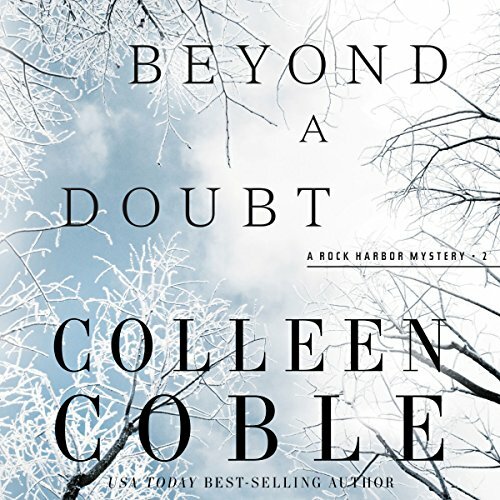 When a basement remodeling project at her lighthouse home uncovers evidence from a case the Rock Harbor police gave up on long ago, Bree's family comes under attack. Someone wants something from the house...or possibly someone. Ranger Kade Matthews steps in to help, winning Bree's friendship and making real headway with her son, Davy. But there's still a killer somewhere in Rock Harbor. It will take everything Bree and Samson can do to protect her family from the danger lurking outside the lighthouse door. even though this story had some holes in it, I will continue to listen to this series. I like the characters, even though it is frustrating two wait for her to find the right man, and the plot was interesting. It is hard for me to tell when one character stop speaking and another one starts. The narration could be better. This book has been fabulous right along with all of her others! The performance was good too. I enjoyed the weaving of the characters lives through the story line. The plot held my interest as I wanted to know who did what and why. The narrator did a good job with the voices of the characters. I'm looking forward to the next in the series. The reader of these books is great and I love that she’s done all of them thus far! The storyline is always fun, with suspense, some drama, friendship, devotion and best of all Love! I’m very much looking forward to her next book in this series!!! absolutely wonderful! good story line, but what happens with Bri and Kade or Nick? Very interesting & keeps you on your toes! I Love the stories from Rock Harbor. Looking forward to more books in this series.